DISH, TX — Shortly after a natural gas well was fractured using the controversial technic of hydraulic fracturing, a private water well within a thousand feet of the natural gas well site began showing sedimentation. DISH resident Amber Smith says shortly after the well was fractured a fine sand like sediment was present in the water from their private water well. The Smith family installed a water filtration system shortly after the sediment became present and continued using the water. However, after a year the sedimentation reached the point that it clogged the entire plumbing system, and the water well is now unusable. The Smith family removed the tank from the water well and removed over ten pounds of the sand like substance. After dismantling and cleaning the well system, the Smith family reassembled the well only to have it completely obstructed after only 30 minutes of operation. Devon Energy who is the operator of the gas well has refused to take responsibility for the failure. The Railroad Commission of Texas responded and took samples of the tainted water for limited analyzing. The town of DISH also had independent testing accomplished to determine the content of the sand like substance. The water well owned by the Smith family shows levels of arsenic at 7.5 times the acceptable level for drinking water. The water also contained lead at levels that were 21 times above the acceptable levels, and chromium at more that double the allowable limits. Independent testing shows elevated levels of butanone, acetone, carbon disulfide, strontium, as well as heavy metals, all above safe drinking water standards. The town is awaiting additional test results. DISH is located in the epicenter of the Barnett Shale gas play and is home to a megacomplex of compressor stations, as well as pipelines, metering stations, gathering lines and gas wells. The town of DISH spent nearly 15% of its annual budget on a comprehensive air study after months of complaints to the state regulatory agencies and the operators of the compressor sites, gave the citizens no relief. DISH mayor Calvin Tillman says that “we are finally getting our air cleaned up, and now our water is showing signs of pollution, we take two steps forward and three steps back”. These results clearly show a correlation between the natural gas drilling process and water contamination, and this industry should no longer make claims that they have never contaminated a water source. 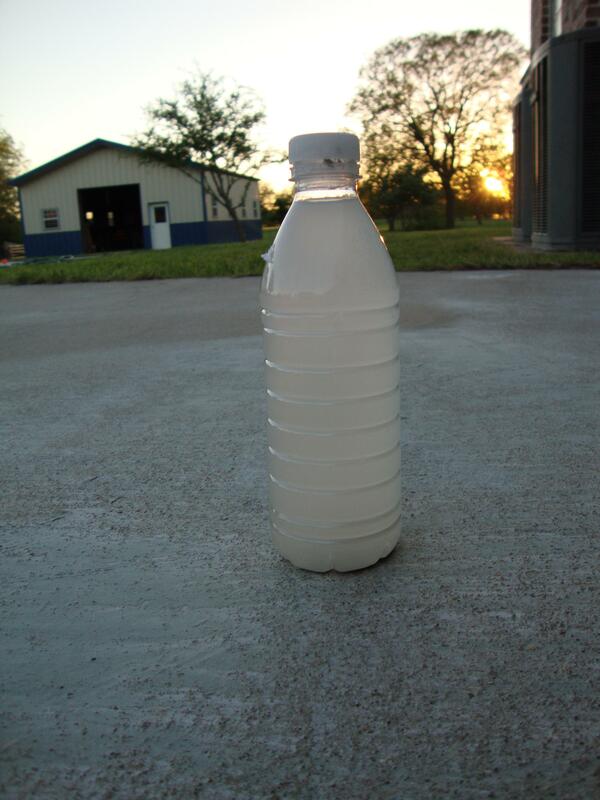 DISH resident Amber Smith is extremely concerned that her young children has been drinking this water. It’s nice that tests have confirmed what we all knew.